Even though online shopping is becoming increasingly popular, there’s nothing quite like wandering around an open-air market or indoor shopping mall where you can see, feel and sometimes even taste the goods you’re planning to buy. If you’d like to enjoy a holiday heavily focused on retail therapy, take a look at our top 10 best shopping cities in the world to find out the most popular destinations to pick up that special little something. Why: The shopping malls in Dubai are realisations of unrestrained fantasy, with an almost never-ending number of attractions to tempt you inside. Much more than just places to grab yourself some designer clothes or state-of-the-art electronics, these malls offer a world of entertainment for the whole family to enjoy. Getting around: With huge protected car parks, most of the shopping malls in Dubai can be easily accessed by private car. If you’d rather someone else take control of the driving, you can hop onto a bus and get off at the nearest stop which is often directly outside the mall itself. Highlights: The Dubai Mall offer something for everyone, with 1,200 retail outlets, two department stores, 160 eateries, children’s zone, indoor theme park, indoor ice rink, 22-screen cinema and aquarium. The Mall of the Emirates is another top shopping destination in Dubai. In addition to a wealth of designer labels, antiques, souvenirs and electronics, this shopping centre is also home to the largest indoor family entertainment centre in Dubai, the first indoor ski resort in the Middle East and a 14-screen cinema. Why: Milan is known internationally for its fashion and the sheer quantity of classy designer boutiques offering every brand name under the sun. What’s in season one month quickly becomes next month’s fashion faux pas, meaning you’ll find a huge selection of beautiful and almost-new garments gracing the windows of outlets and second-hand shops. Because styles take around one year to reach the likes of London after they’ve launched in Italy, you can snap up bargain cast-offs whilst still being at the height of style when you get home. Getting around: The easiest and fastest way to get around Milan is by metro, with lines running every 1-3 minutes from 6am until midnight and as late as 2am on Saturday nights. Above ground, the trams are an efficient way of travelling between shopping districts, as is the local bus service which offers a number of routes. Highlights: Milan’s most fashionable boutiques are all found within the Quadrilatero d’Oro. 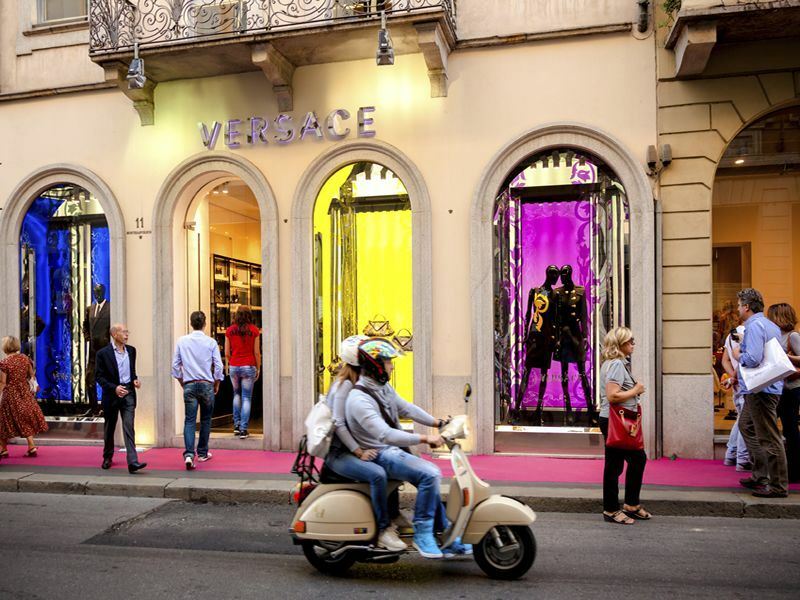 Along Via Montenapoleone you’ll find all the names you know and love, including Louis Vuitton, Ralph Lauren, Gucci, Prada and Christian Dior. If those stores pack a price tag too high for you, head to Corso di Porta Ticinese or Brera, where you’ll find a number of alternative and high street labels. 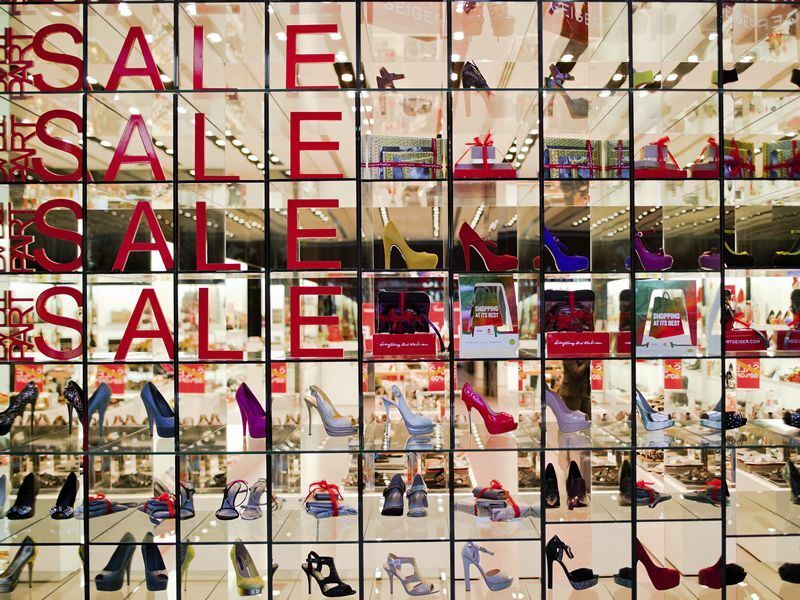 Why: Australia offers a never-ending array of shopping opportunities. Here you won’t find any red faced shoppers rushing around – browsing is a laid back experience, encouraged by the chilled out atmosphere found in the stores and markets. Getting around: Some of the long shopping districts, like the prestigious Oxford Street or quirky Newtown, are best explored on foot. If you’re planning on visiting a variety of areas, using the bus service is highly recommended. The Sydney and Bondi hop-on-hop off bus passes by many places of interest, including the Darling Harbour. Highlights: The Strand Arcade was built in Victorian times and is a popular location for those who want to shop ‘til they drop surrounded by beautifully resorted interiors. Here you’ll find a selection of duty-free goods, gifts, jewellery and antiques. The Darling Harbour is another top place for shopping, where you’ll find loads of speciality shops mingling with temping eateries and food kiosks offering a great range of international cuisine. Why: The bustling souks of Marrakesh are packed with sights, smells and sounds that get the senses tingling. Each market is broken down into sections with its own speciality, where you’ll find items ranging from hand-woven carpets, delicate textiles and colourful clothes to delicious cooked snails, fragrant spices and even magic spell ingredients. Getting around: The only way to explore the souks is on foot, but be warned – although they are huge and it’s incredibly easy to get lost. If you do lose your way, carry on wandering around and you’re bound to come to a familiar spot or ideally the exit. If you really are completely lost, ask a friendly-looking shop owner for directions. Highlights: The Criée Berbère is the place to go if you’re on the hunt for intricate carpets. This area was once the location of the slave auctions, but has now been transformed into the best place to snap up a quality rug. The Souk des Teinturiers is without a doubt one of the most photogenic of souks, where you’ll find sheaves upon sheaves of brightly coloured wool being set out to dry. 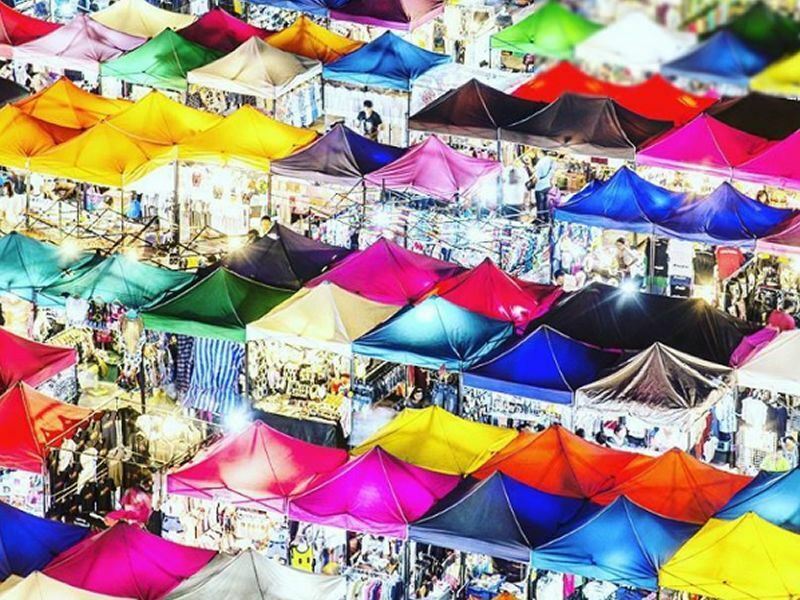 Why: When it comes to shopping, Hong Kong offers everything you could ever want. With everything from plush malls and classy boutiques to funky markets and eclectic stores, this city offers the perfect shopping experience for everyone. Getting around: Markets and shopping malls can easily be explored on foot, but if you plan on hopping between shopping districts, a taxi or bus is your best bet. If you’re going to be travelling more than a mile or so, you’ll be better off opting to use the light rail or train system. Highlights: The Admiralty, Central and SoHo skyscrapers are the best places for luxury products and high-end fashion, where you’ll find all the well-known brands and labels. If you’re looking for an item with a bit of history, pick up an authentic antique in Cat Street. Here you’ll come across curio merchants and artists selling a variety of interesting trinkets, from snuff bottles to Ming dynasty furniture. Why: Los Angeles is one of the best places in the world for shopping, whether you want to rummage around in vintage stores looking for something special or simply want to window shop for extravagant goods. Many of America’s A-list celebrities come here to shop, so you might even catch a glimpse of a star during your trip. Getting around: Whilst the shopping districts are easily covered on foot, getting from one to another will require a form of transport. If you’re lucky enough to have rented a car during your stay, you’ll be able to cruise down the streets in style. If you don’t have your own ride, you can catch the Red Metro Line directly into the jewellery district. 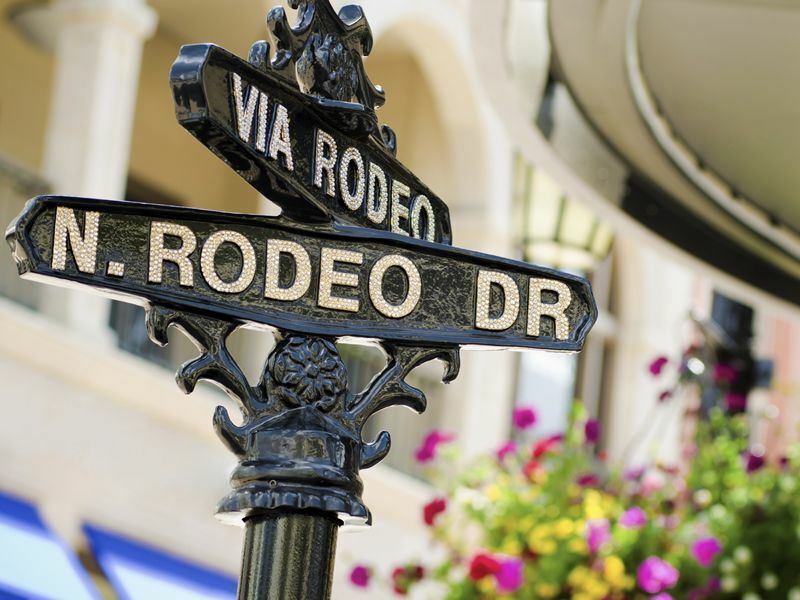 Highlights: At the world-famous Rodeo Drive you’ll find more than 100 luxury apparel stores, as well as a number of top class outlet boutiques. For a unique shopping experience, head to The Grove, where you’ll come face to face with Disney-inspired streets lined with shops and a vintage tram to transport shoppers. Robertson Boulevard is the place to see and be seen. Here you’ll find a trendy collection of clothing stores and jewellery boutiques, as well as number of swanky eateries. Why: Regarded by many as the world capital of fashion, Paris really is every shopper’s dream destination. Here big names like Louis Vuitton, Chanel and Christian Dior grace the front of boutique windows. With almost every brand ever heard of available, whatever you’re searching for, you’re bound to find in Paris. Getting around: The easiest and fastest way to get around Paris is by taking advantage of the metro. There is a huge number of stations throughout the capital, meaning you’ll never be more than a few steps away from your desired location. Try your all to avoid using the metro during peak times – between 8 and 9am and again between 6 and 7pm – to avoid any hassle or struggles. Highlights: Avenue Montaigne in the Champs-Elysées is a haut couture shopping district where you’ll find all the top brands. The Marais is the current trendiest area, where you’ll find cutting-edge designers displaying their best creations in their shops. Montmartre is the best place to go for souvenirs and vintage trinkets. Why: From state-of-the-art electronics to cheerful anime, traditional handicrafts to trendy fashion – the fast-paced city of Tokyo is the place to find whatever you’re looking for. The shopping districts also double as sightseeing areas, meaning you’ll be able to see the most popular spots whilst snapping up a bargain. Getting around: Tokyo is a very crowded city, so it will almost always take you longer to travel somewhere than you expected. Taxis are very pricey in this city, so it’s best to stick to subways, trains and buses. If you’re going to be using public transport a lot, consider buying a Suica – a contactless prepaid card which you can use on almost all modes of transport. Highlights: Ginza is known as Toyko’s top upmarket shopping district and features a number of department stores, designer boutiques and even art galleries. The Tsukiji Fish Market is a must for any foodies interested in Japanese culture and it’s also one of the area’s top tourist attractions. If you’re interested in electronics, it’s hard to beat the sheer choice and low prices of the stores at Akihabara. 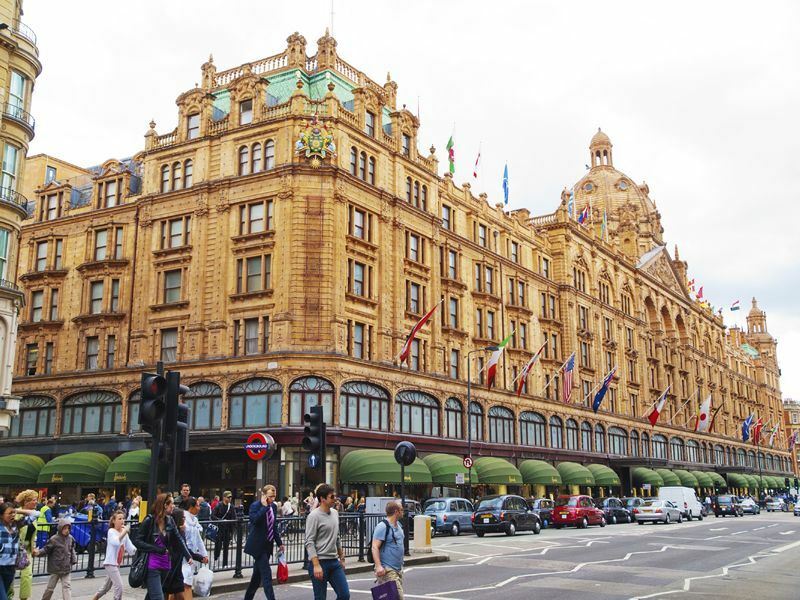 Why: The shopping in London ranks amongst the best in the world, with something to suit every style and budget. There’s a great choice available in this city, too, with high streets lined with stores offering everything from top fashion labels to trendy jewellery and markets laden with stalls selling unique artwork and fun souvenirs. Getting around: The tube is by far the easiest method of getting from one place to another in London. Buying a Travelcard from an underground station is a great way to save money if you’re planning on using public transport frequently. It can be used on buses, the tube and trains. There are many stations ideally located for shopping, including Bond Street, Regent Street and Tottenham Court Road. Highlights: Oxford Street is at the top of the list when it comes to high street shopping in London and is where you should head if you’re limited to one day’s worth of shopping. Markets such as Camden and Portobello are fantastic places for snapping up bargain fashion. Why: Options are limitless when it comes to shopping in New York, where you’ll find some of the best department stores in the world and a never-ending number of boutiques. There are also loads of flea markets and outlets, were you can snap up brand names for a fraction of the price. Getting around: With over 13,000 vehicles operating in the area, taxis are the most convenient, albeit the most expensive, mode of transport in New York. The subway and bus service is a more affordable option, especially if you purchase a ride pass. There are loads of stations all over the city, so you’ll never have to walk far to reach your shopping destination of choice. 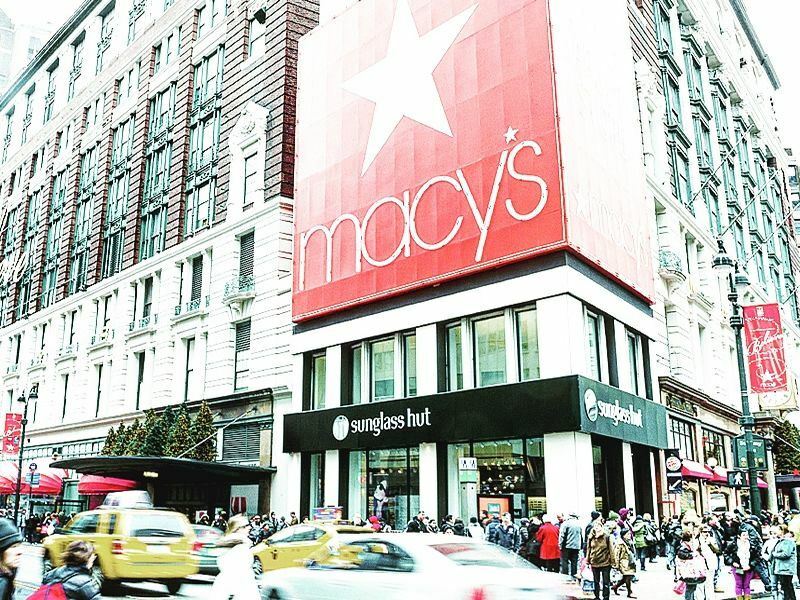 Highlights: Christmas shopping in New York is an unforgettable experience which appears on almost everyone’s bucket list. Imagine wandering through bustling streets, carrying bags full of unique Christmas gifts as snowflakes begin to fall from the sky. 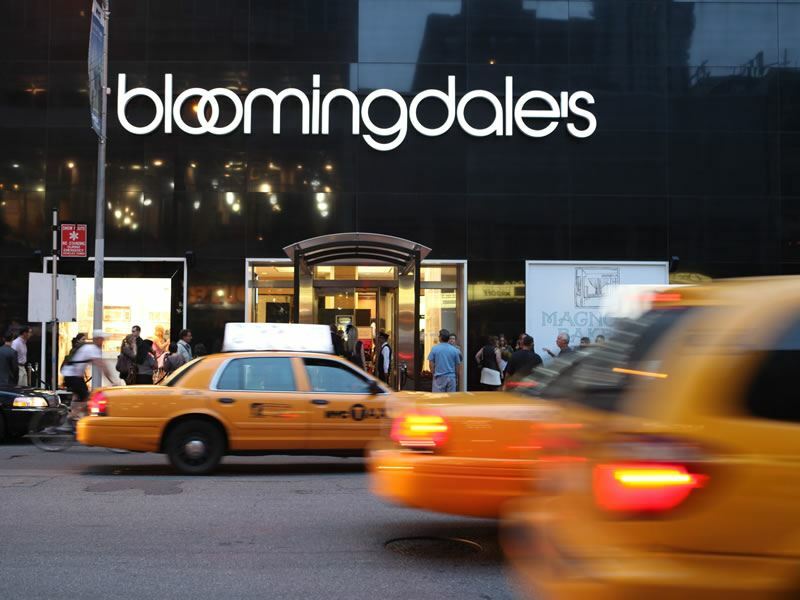 Bloomingdales and Macy’s are two of the best department stores around, stocking everything imaginable.